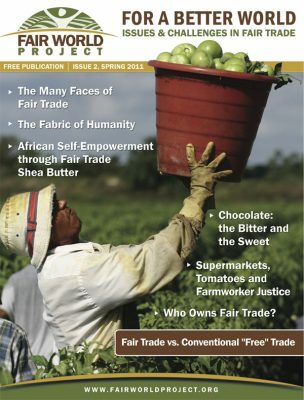 In this edition contributing authors write about; fair versus conventional “free” trade; different fair trade craft production models to support artisans; vertically certifying fair trade apparel production from farm to factory in Central and North America; community empowerment in Africa through fair trade Shea Butter production; the tragedy of the chocolate industry versus righteous chocolatiers; and who and what fair trade is for and about. To a day when all trade is fair. 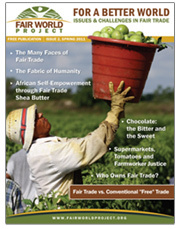 Join the network of businesses and advocates across the U.S. and Canada who distribute this free publication.